To Mods: If this post is not allowed, please let me know and I'll remove it instantly. 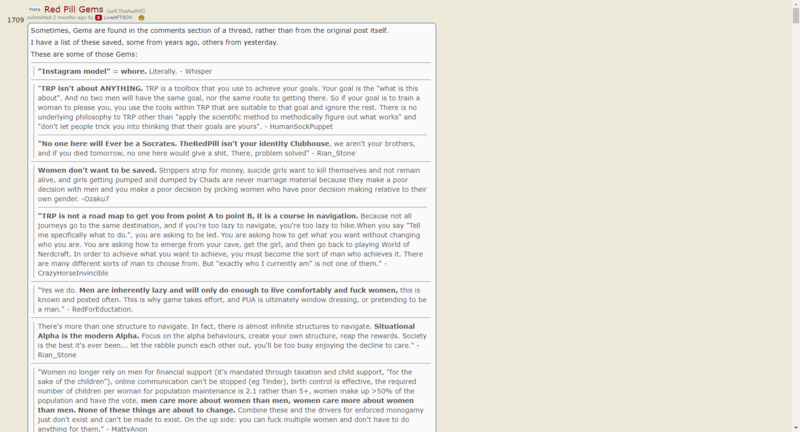 My intention is to only contribute to TRP and spread the idea to men around the world, I am in no way trying to harm this subreddit. Yours looks great, its the go to back up. His however is quite a bit faster and very sleek, a collaboration would be nice. While we are working on proper caching at the moment, I'm legitimately curious what makes you say that. 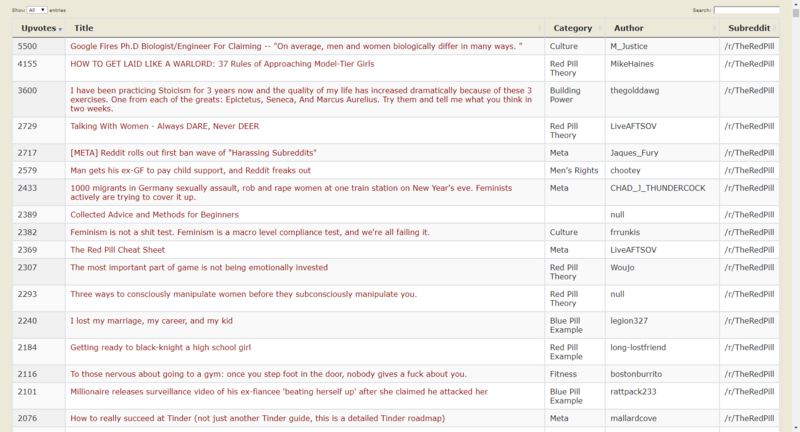 https://www.forums.red/i/theredpill generates in 0.2027 seconds. 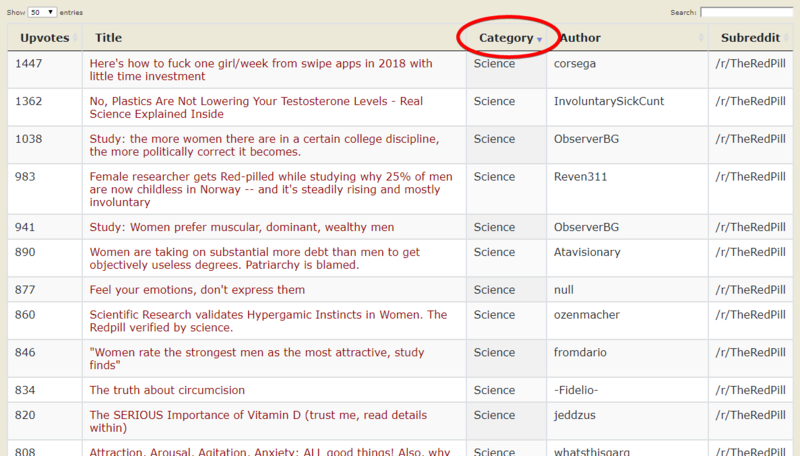 A page with 345 comments generated in 0.1854 seconds. I'm hoping to streamline this so please let me know. It would be good to make the site open source with all the database. That way people would contribute. TRP changed my life. Quarantine had me scared but I am glad that you guys are doing all this for those who might need help. Not sure if you guys are aware, the entire reddit post history is backed up on google biquery. I've used it to dredge old redpill posts. I'm pretty sure there's also a torrent. sub posts can be formatted as a document. which document format do you prefer ? html, pdf, epub, and plain text.